Accustomed to having its way with Europe, Washington commits Europe without even consulting the vassal governments. Now it seems Washington’s extraordinary arrogance and hubris has resulted in overreach. 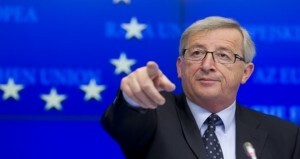 Confronted with a new round of sanctions against Russia, Jean-Claude Juncker (pictured), president of the European Commission told Washington that the time has passed when Washington can put its interests first and Europe’s last.